A layer of raspberry jam is spread between a rich, buttery, hazelnut cookie dough. 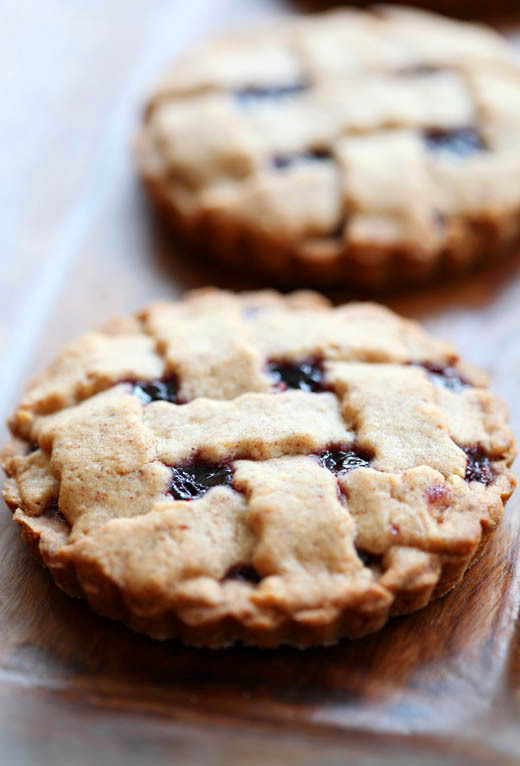 The crisscrossed lattice top is the signature design of what may be the oldest recorded pastry; the Linzer Torte. It was developed in Linz, Austria around the year 1650 and has been made much the same way ever since. Why fix it, if it is perfect just as it is. However, I can rarely leave things as they are, so I made them in bite sized portions. There is a version of this same dessert in England and they call them Jam Biscuits. 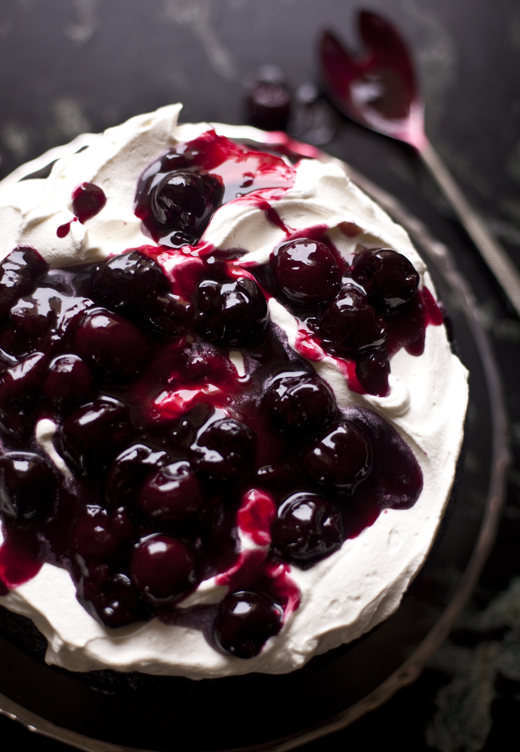 Today, after watching the Royal Wedding I think it fitting that we bake something British, even if they originated elsewhere. Check out the Linzer Cookie I made for the Cooking Channel blog, same ingredients, different look!